Loopwheels are designed to help you push over uneven streets, cobbles, grass, rough tracks and gravel paths, with less effort. The composite springs give you extra power to get up or down kerbs. Loopwheels replacement wheelchair wheels are more comfortable than standard wheels: they absorb tiring vibration, as well as bumps and shocks. They naturally adjust for uneven camber – the slope on the side of a road. With standard quick release axles and two sizes (24″ and 25″), Loopwheels fit most manual wheelchairs. We reinvented the wheel, so you can tackle any path ahead. 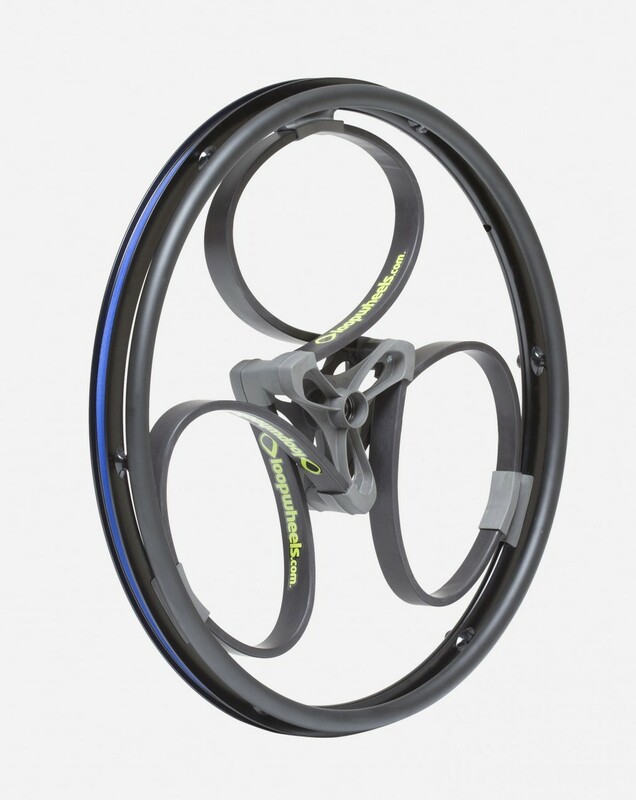 Want to know more about Loopwheels? Drop your email address in here and we'll keep you updated.